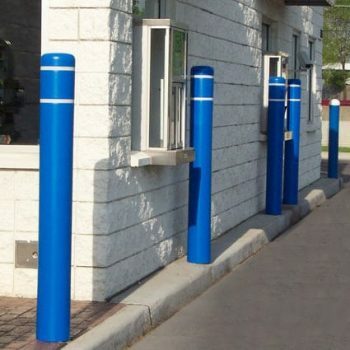 Bollard Covers are protective sleeves that easily fit over posts. Covers save time and costs by eliminating constant scraping and repainting. The plastic part contains ultraviolet and antistatic additives that withstand extreme temperatures. Custom colors, symbols and company logos are available. Bollard Covers are protective sleeves that easily fit over posts. 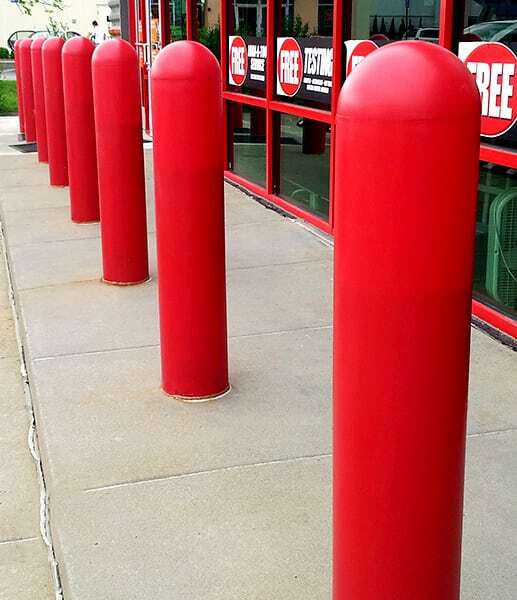 Covers save time and costs by eliminating scraping and repainting.